Cush (Gen. 10:6–12; 1 Chr. 1:8–10; Isa. 11:11), progenitor of various Ethiopian tribes that settled south of Egypt and also overran Arabia, Babylonia, and India. Mizraim (Gen. 10:6, 13–14; 1 Chr. 1:8–11), progenitor of various Egyptian tribes. Mizraim means “double.” Tribes of the double Egypt (upper and lower Egypt), called the land of Ham, came from him (Ps. 78:51; 105:23–27; 106:22). The Philistines also came from Mizraim (Gen. 10:14). Phut (Gen. 10:6; Ezek. 27:10), progenitor of the Libyans and other tribes in northern Africa (Ezek. 27:10; 30:5; 38:5; Jer. 46:9; Nah. 3:9). Gregory attributes to Cush what was said more generally to have befallen his son; but his statement shows the belief in his day, which is amply confirmed from other sources, that Cush had a preeminent share in leading mankind away from the true worship of God. 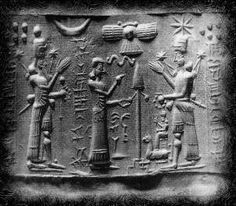 The composition of Her-mes is, first, from “Her,” which, in Chaldee, is synonymous with Ham, or Khem, “the burnt one.” As “her” also, like Ham, signified “The hot or burning one,” this name formed a foundation for covertly identifying Ham with the “Sun,” and so deifying the great patriarch, after whose name the land of Egypt was called, in connection with the sun. Khem, or Ham, in his own name was openly worshipped in later ages in the land of Ham; but this would have been too daring at first. By means of “Her,” the synonym, however, the way was paved for this. “Her” is the name of Horus, who is identified with the sun, which shows the real etymology of the name to be from the verb to which I have traced it. Then, secondly, “Mes,” is from Mesheh (or, without the last radical, which is omissible), Mesh, “to draw forth.” In Egyptian, we have Ms in the sense of “to bring forth”, which is evidently a different form of the same word. In the passive sense, also, we find Ms used. The radical meaning of Mesheh inStockii Lexicon, is given in Latin “Extraxit,” and our English word “extraction,” as applied to birth or descent, shows a connection between the generic meaning of this word and birth. This derivation will be found to explain the meaning of the names of the Egyptian kings, Ramesses and Thothmes, the former evidently being “the son of Ra,” or the sun; the latter in like manner, being “the son of Thoth.” For the very same reason Her-mes is the “Son of Her, or Ham,” the burnt one—that is, Cush. 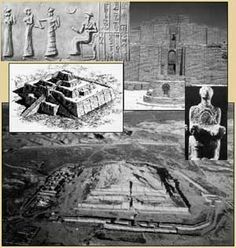 Before I dive into what I have discovered about Nimrod, I want to share some of the basic information regarding the first king of Babylon that you will find in most Bible commentaries. For this task, I will refer toThe Pentateuch by James E. Smith. Thus Nimrod had achieved something that only the Watchers of old had done before, yet he took it to a whole new level. In fact, his cutting-edge breakthrough has sat at the center of all secret societies, alchemists, wizards, sorcerers, warlocks, and Illuminati elite throughout the millennia. Nimrod somehow took the arcane knowledge of his family line and pushed it beyond what others could do. Something he willfully did worked a dark miracle—and he became a gibborim (another type of Nephilim). This transmogrification must have thrilled the kingdom of darkness, and evidently will again, as prophecy saysthis dark esoteric power will be reproduced once more in history resulting in the transmogrification of a man that allows Lucifer himself to co-inhabit an enhanced man-god. According to the biblically endorsed book of Jasher, Noah had with him the lambskin apron that God had made for Adam. Ham had stolen the apron (and more than likely handed it off to Canaan). Nimrod wore the apron when hunting, which made him a mighty hunter. This is also the origins of the aprons worn by freemasons. The original has probably been handed down through the succession of high priests of the mystery religions; the pontifex maximus. 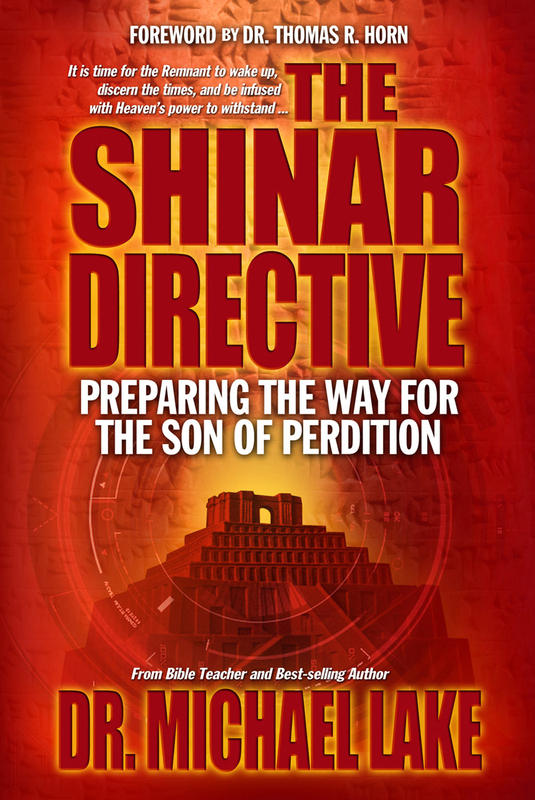 This is one of the concepts that I looked at when developing the Shinar Directive, and I am very familiar with the story. However, unlike Genesis 6 and the Book of Enoch connection, there is no biblical text to valid the story regarding the apron.